Since the launch of the original iPhone way back in 2007, smartphones have taken over the world. It's so commonplace to see someone wrapped up in their phone that we rarely think about the fact that, just a decade ago, this was a rare sight. What if there was a better way? "Dumb phones" are more than just a rejection of smartphones — they're an entire throwback philosophy. Manufacturers aren't calling them "dumb phones", of course. But the name makes sense: if extraneous stuff like apps, emojis, and internet browsing are what makes smartphones "smart", then what's the logical term for a phone that strips all of that unnecessary stuff away? The first of these phones launched a few years ago. A Brooklyn-based startup, Light, launched its first phone in 2014. Called the Light Phone, this was a stripped-down cellphone that was equipped with a clock and the ability to make calls. That's it. It wasn't seen as a replacement for your phone, but a complement. Sometimes you need to have a phone handy, but don't want to get distracted by all the smartphone nonsense out there. This is the niche the Light Phone was intended to fill. The Light Phone was a success, and any success deserves a sequel. That's why they're launching the Light Phone 2, which promises to be a full replacement for your smartphone, more fully-featured than the Light Phone 1, and uncompromising with its philosophy. The Light Phone 2 has more features. 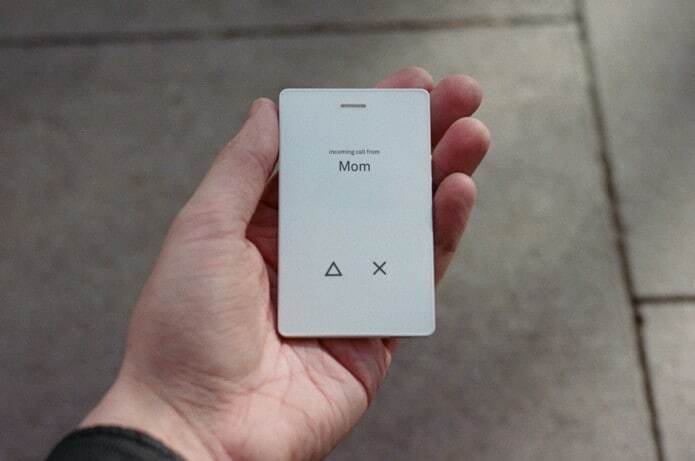 But this doesn't make it a smartphone, exactly — it's still super minimalistic. The biggest difference is that it's now able to text. It's an appealing device for people who want to cut down on smartphone usage. Whether they want to be more engaged with the world or just keep their kids from becoming screen junkies, it's a growing movement. Phones were everywhere before the iPhone, but they weren't distracting. When all they could do was call and text, they were purpose-driven tools. They also had better battery life, because they were far simpler. The Light Phone 2 is currently being crowdfunded.